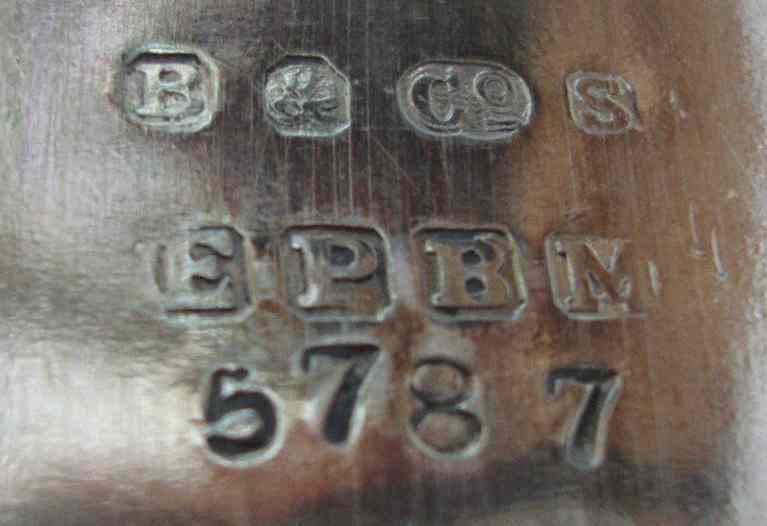 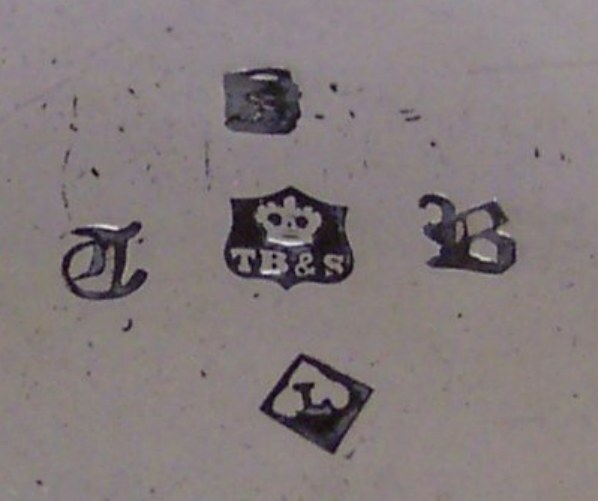 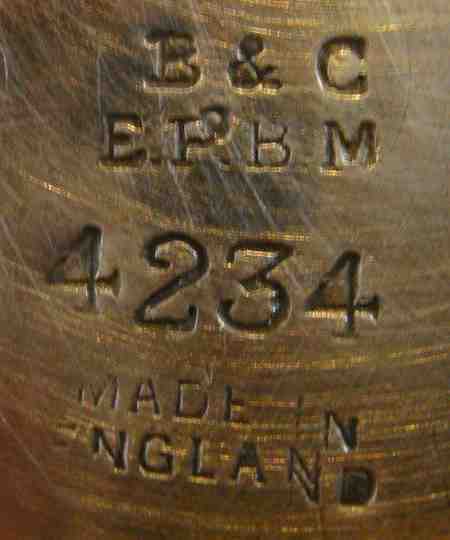 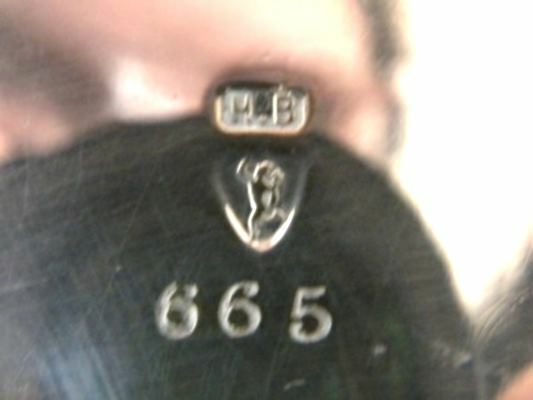 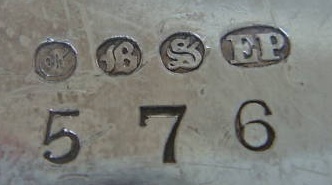 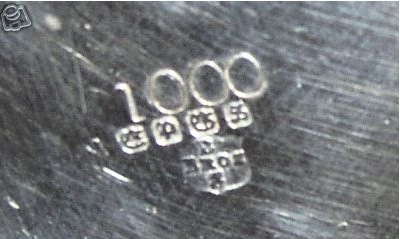 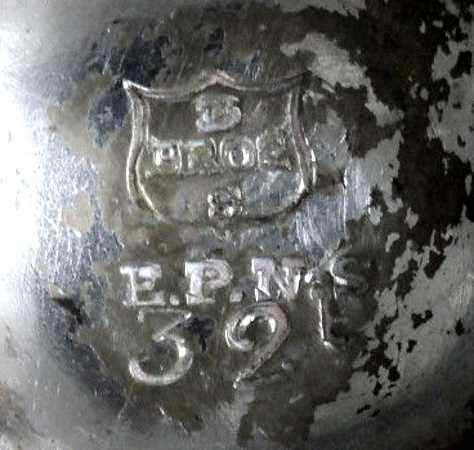 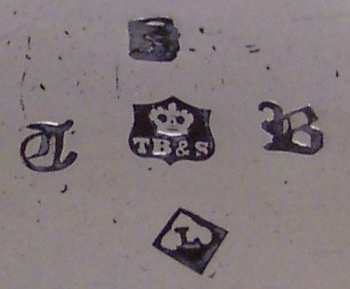 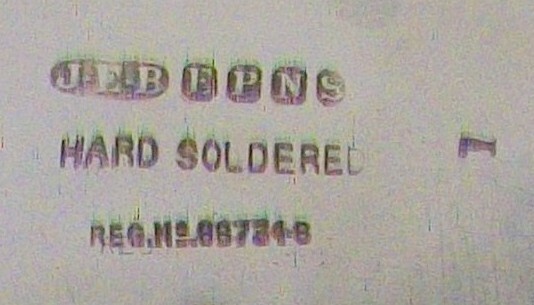 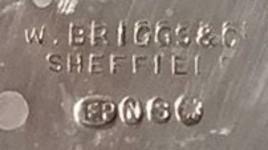 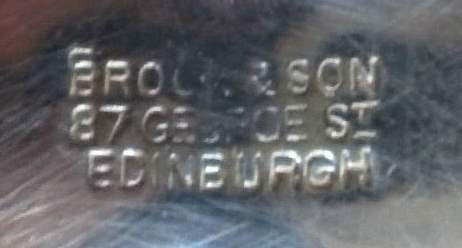 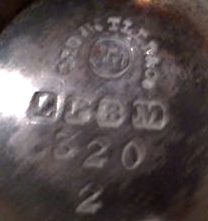 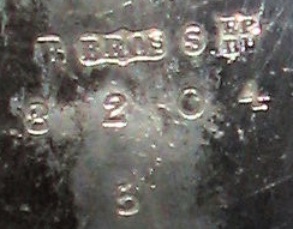 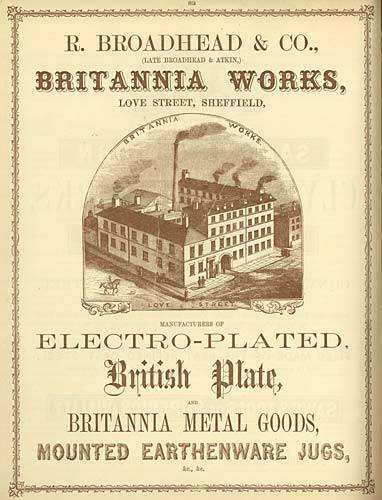 Charles Boardman started producing sterling silver wares (1844) but converted to electroplating in 1847 prior to enter in partnership with Glossop. 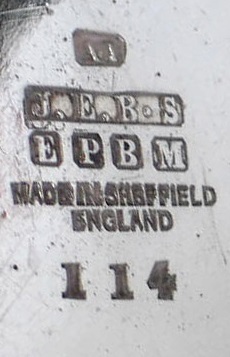 Boardman & Glossop was active at 54 Pond St., Sheffield (1861-1871). 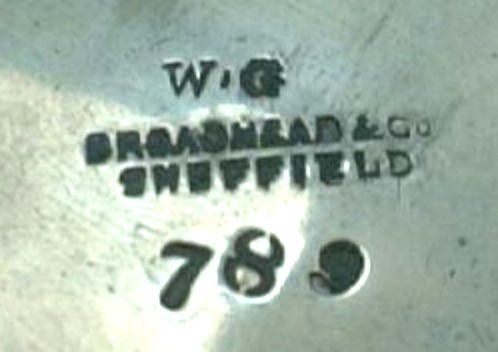 The firm became Boardman, Glossop & Co in 1887 and was converted in 1895 into a limited liability company under the style Boardman, Glossop & Co Ltd. 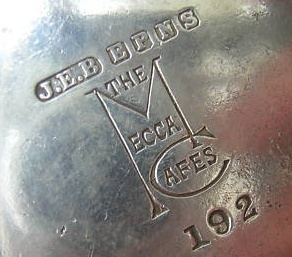 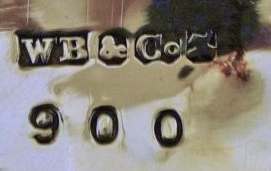 The business was bought in 1924 c. by Frank Cobb & Co. 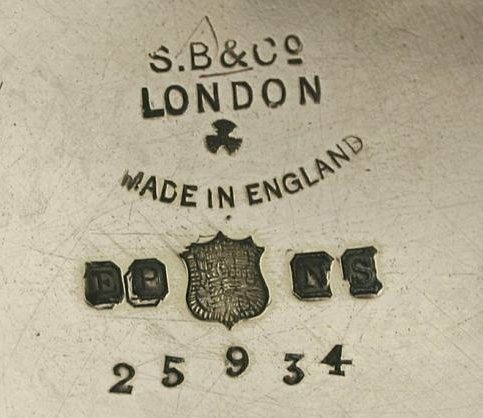 They were described as silversmiths, electroplaters and Britannia metal-smiths at Clarence Works, Sheffield and 16 Ely Place, Holborn, London (later at 18 Bartlett's Building, Holborn). 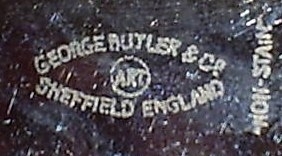 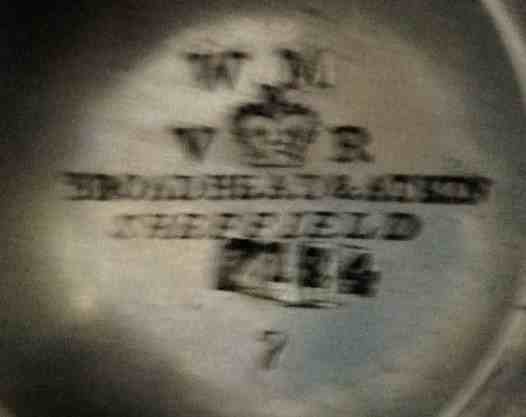 The firm was established in Sheffield as cutlers in 1736. 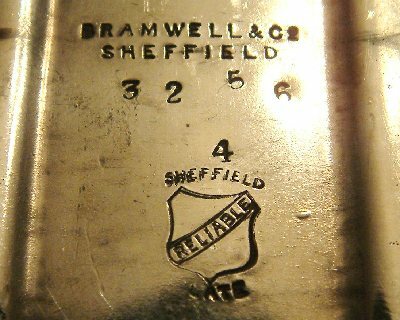 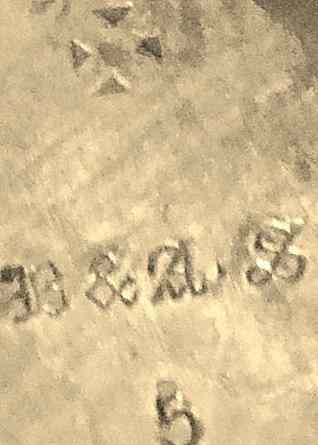 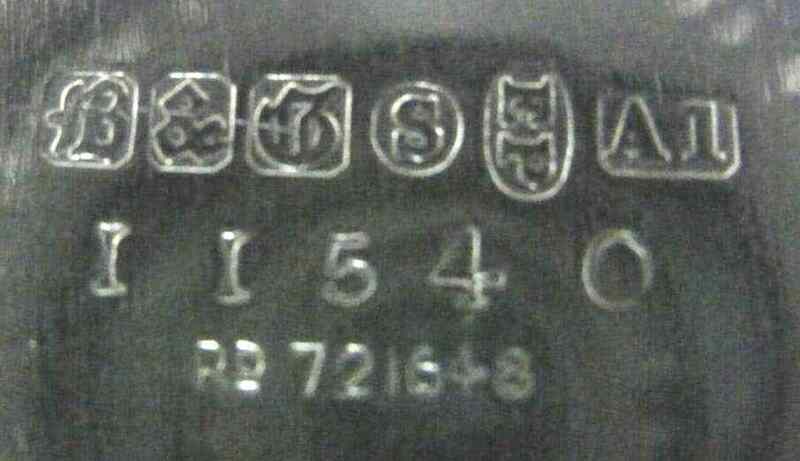 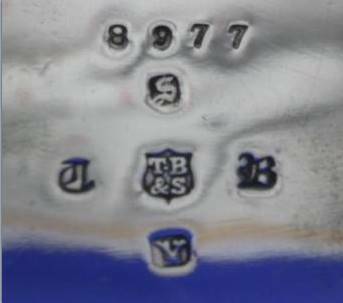 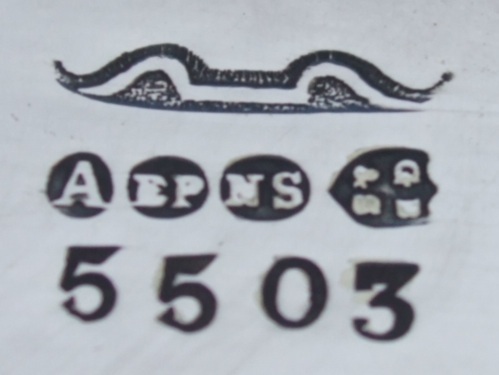 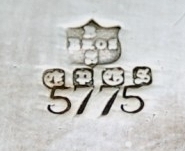 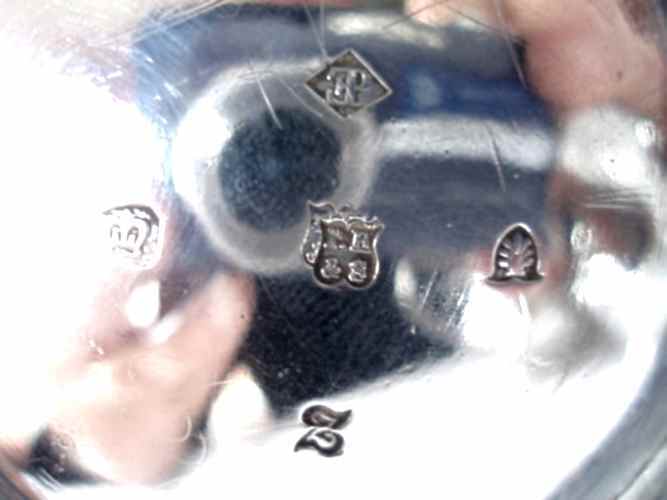 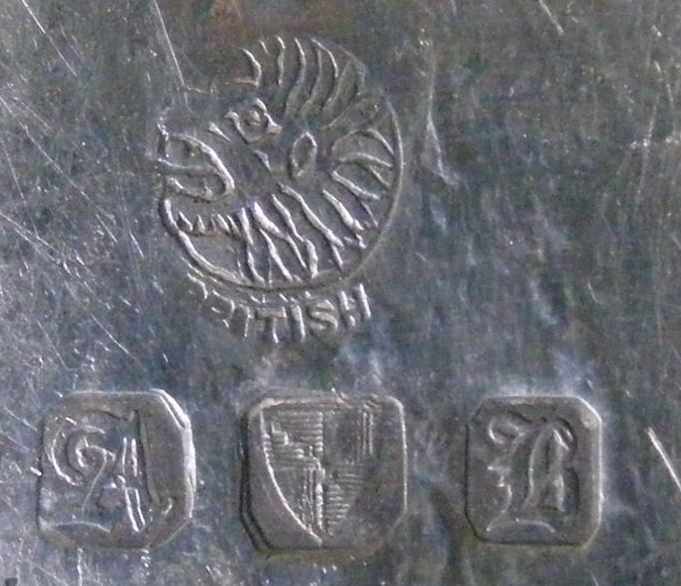 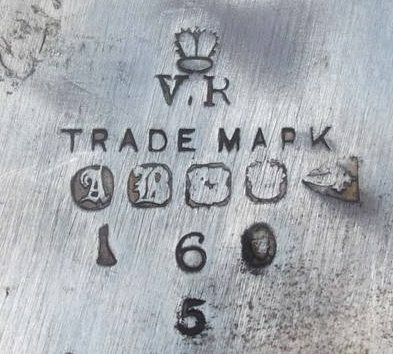 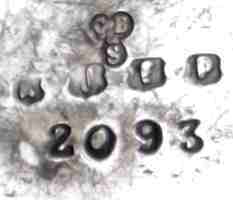 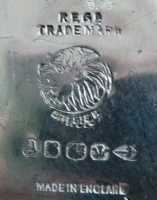 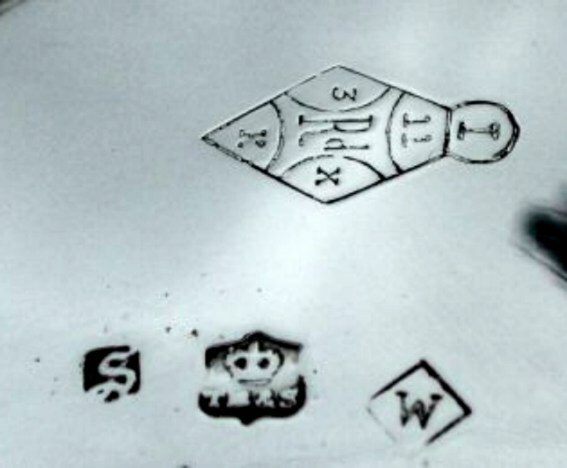 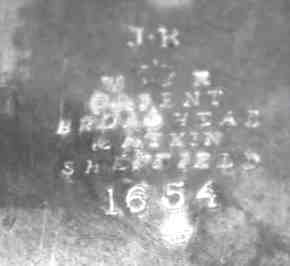 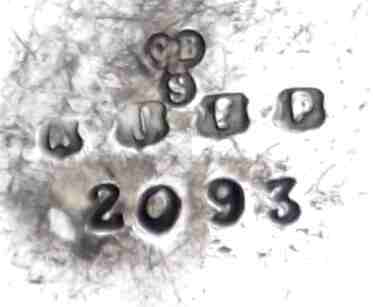 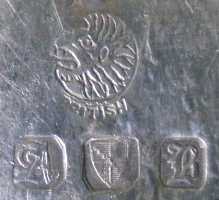 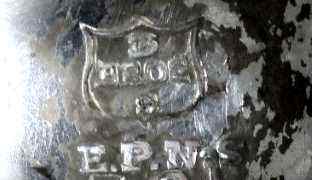 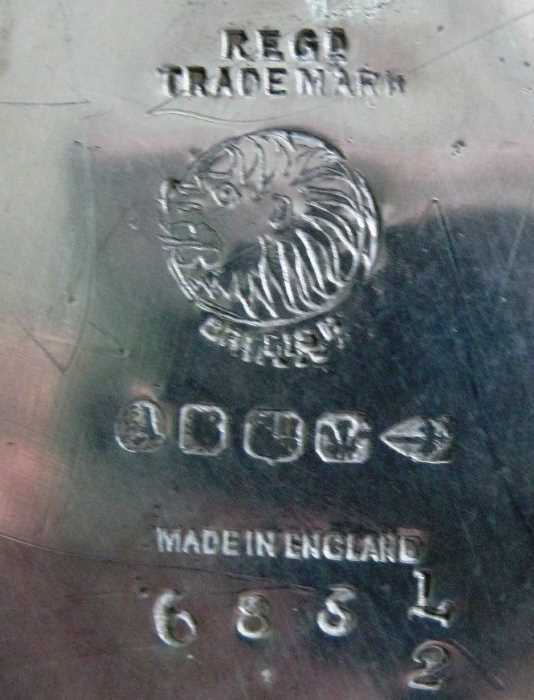 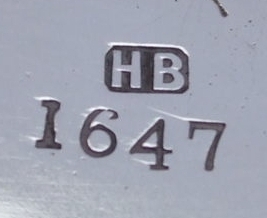 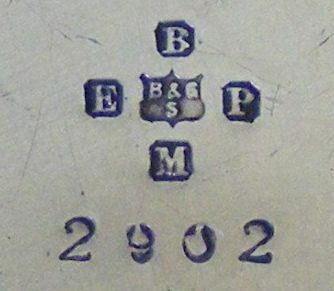 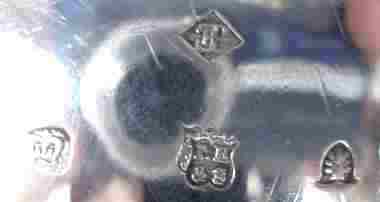 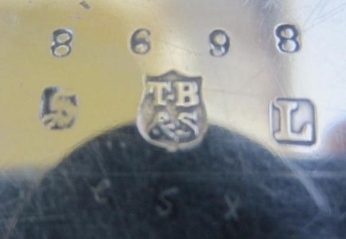 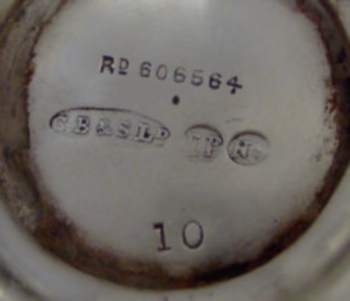 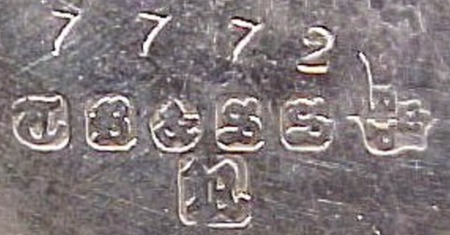 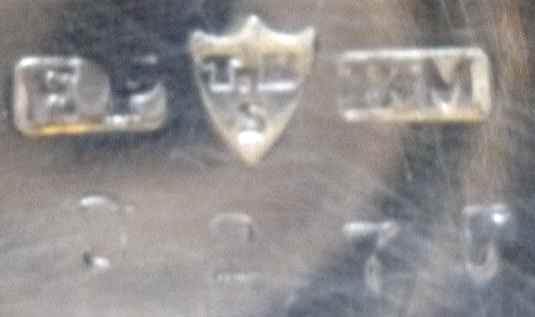 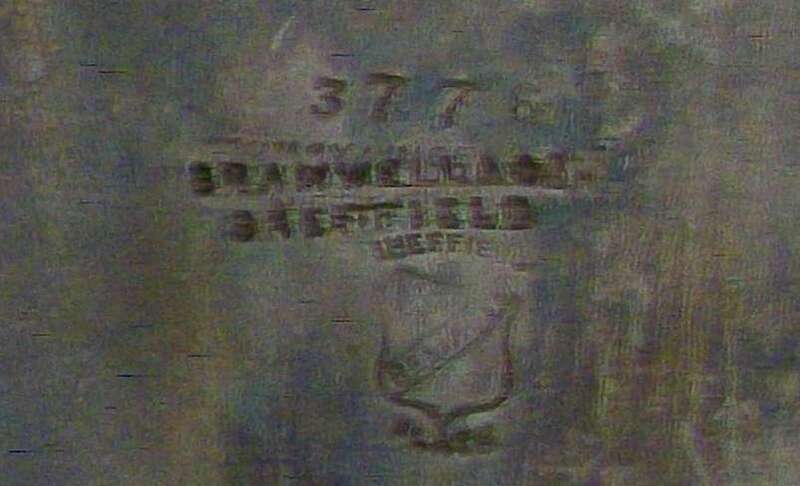 In mid 18th century it traded under the style of Matthew Fenton & Co. Later they became silversmiths and Sheffield platers and registered their mark at the opening of the Sheffield Assay Office. 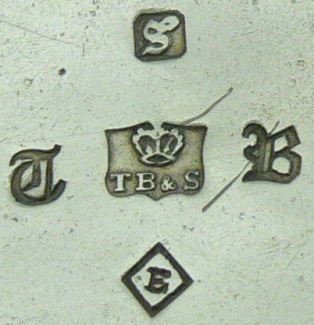 In 1795 the business was sold to Thomas Watson who was joined by Thomas Bradbury (I). 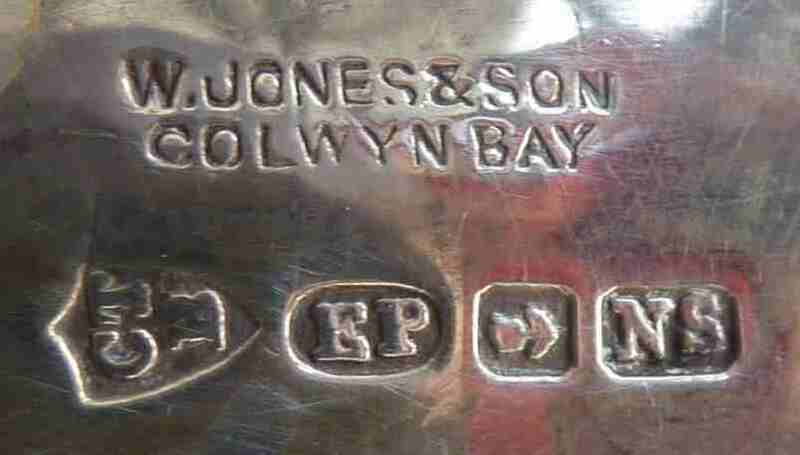 The firm became Thomas Bradbury & Son (1831), Thomas Bradbury & Sons (1855), Thomas Bradbury & Sons Ltd (1905). 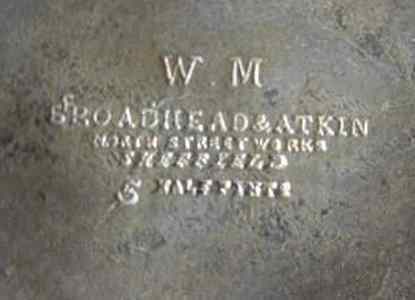 Goodwill and dies acquired by Atkin Brothers in 1943. 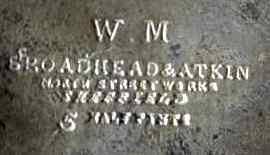 Active in North St. Works. 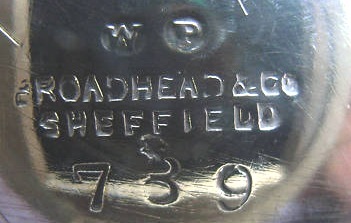 A partnership of Roger Broadhead and Henry Atkin at Love St, Sheffield (1834-1853). 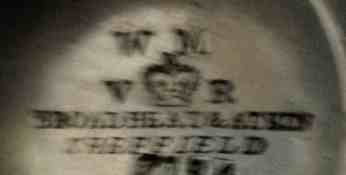 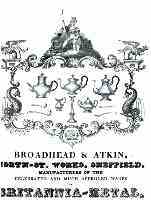 In 1853 the partnership was dissoved and they formed respectively R. Broadhead & Co and Atkin Brothers. 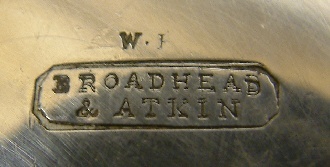 The Gentlemen's Magazine, July 1853, reported that on June 5, 1853, Charles Atkin, junior partner of Broadhead & Atkin dead of his own hand as "...for same time past he had been in a melancholy state mind concerning some partnership misunderstandings"
The firm was founded in 1830 as Joseph Howes. 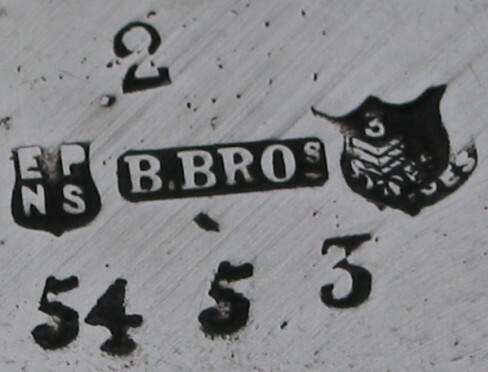 Sometime between 1861 and 1870 a partnership was formed between Joseph Howes and Alfred Browett. 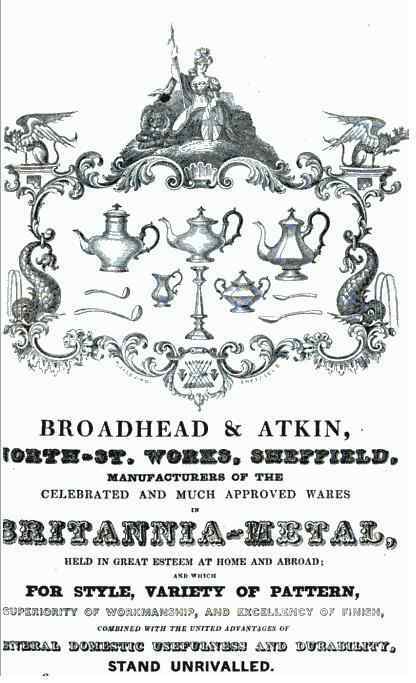 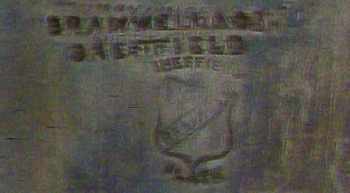 The partnership was dissolved in May 1870 and the trade was carried out by Alfred Browett alone. 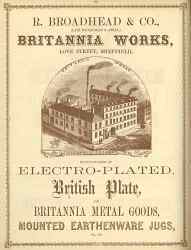 In 1878 the firm was active (works and showrooms) as Electro Silver Plate and Britannia Metal manufacturer at 14 Dean Street, Birmingham. 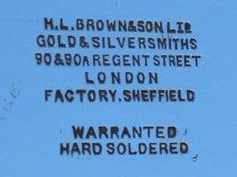 Later (before 1886) the firm became Browett, Ashberry, & Co., a partnership between Alfred Browett and Wilford Haukrigg Ashberry. 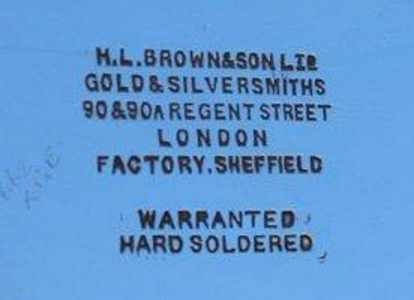 The partnership was dissolved by mutual consent, from 23rd December, 1892 and the business was henceforth carried on by Alfred Browett. 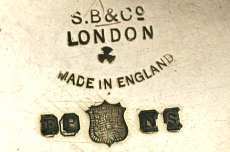 The company's origins date back to 1681. 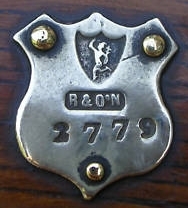 In 1922 the firm was active in its Trinity Works in Sheffield with Showroom at 62 Holborn Viaduct, London. 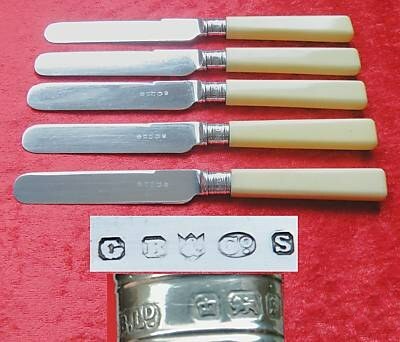 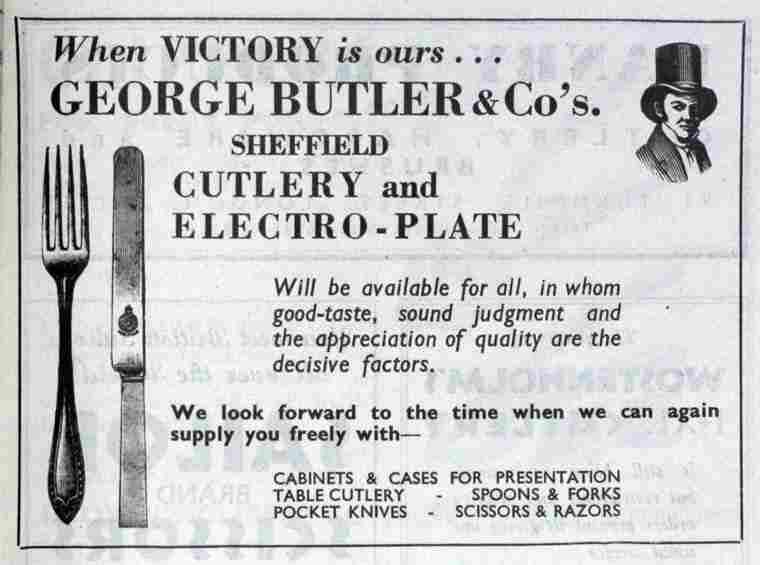 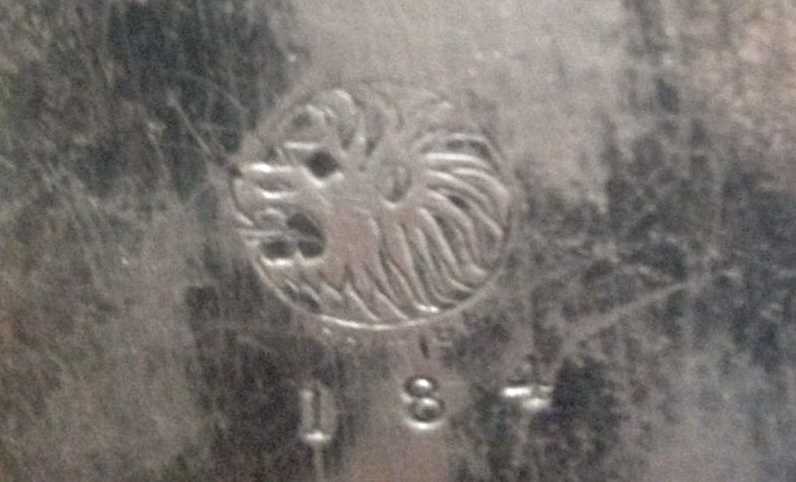 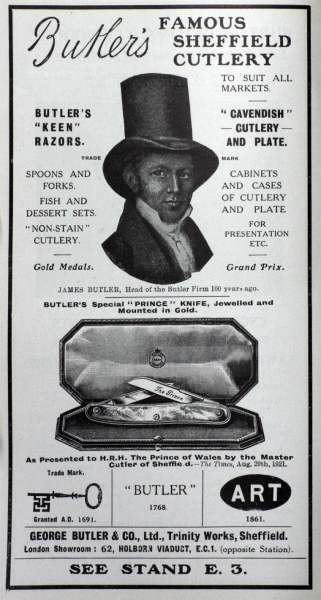 George Butler & Co Ltd had a wide range of patterns of stainless, silver plate and sterling silver flatware. 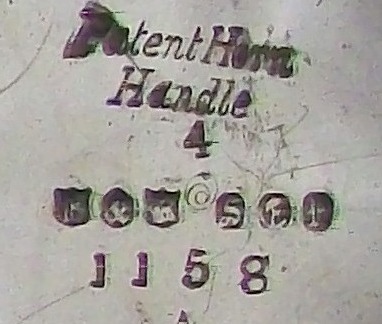 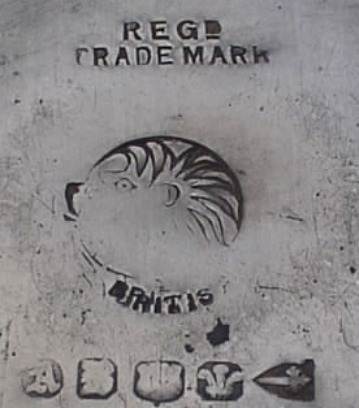 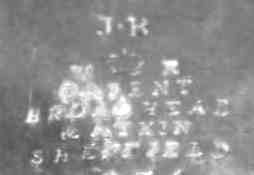 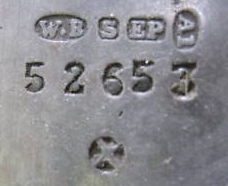 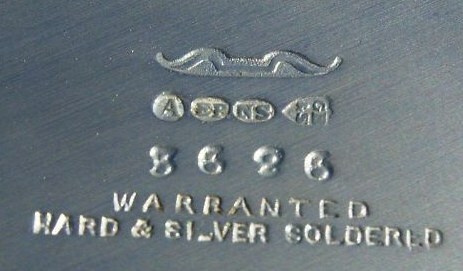 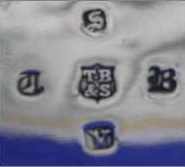 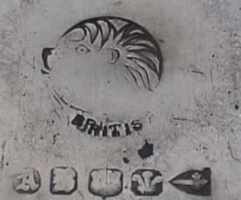 From 1861 the firm used the trade mark ART. 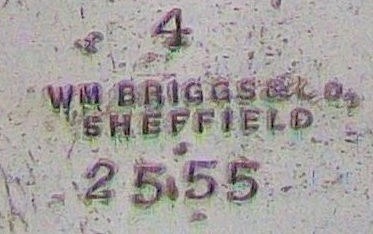 In 1994 the firm was bought by Arthur Price.